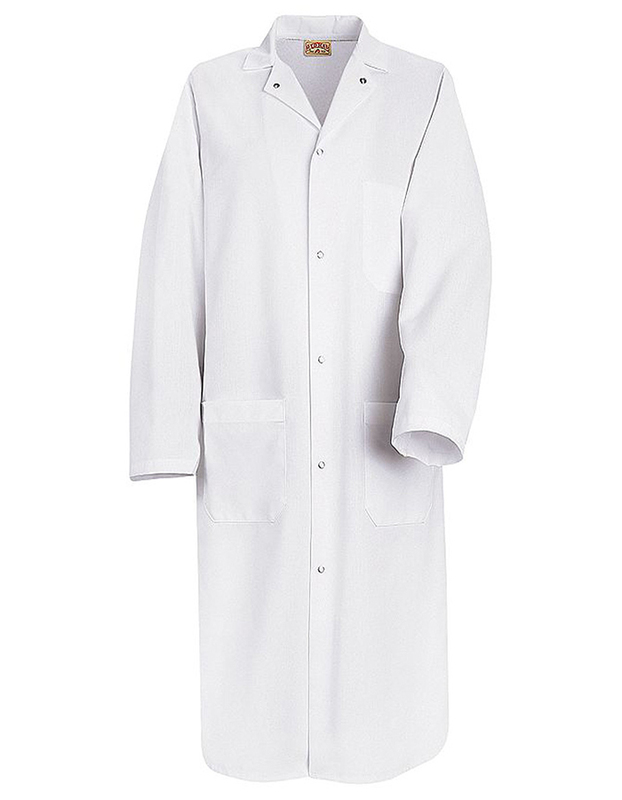 Men's twill butcher 44.75-inch long wrap lab coat from Red Kap with one piece notched lapel collar and six grippers for full closure. 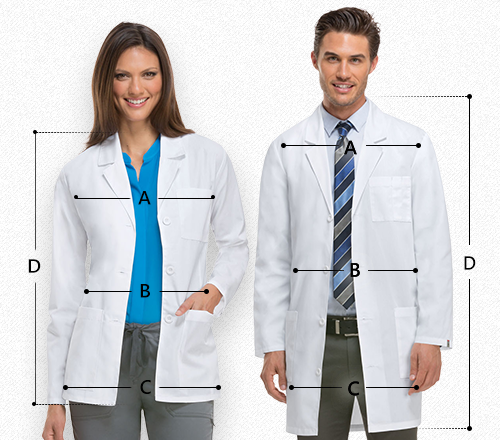 Side access openings are added for you to reach your pant pockets when needed. This also features one left interior breast pocket and two exterior lower pockets for storage of your handy paraphernalia and other personal items.